With Easter is just fast approaching, having you done your shopping or got all the essentials? In this post are some of my recent food adventures, which may perfectly fit into this festive season. And this time, they are from all over the world! For a good Easter break, the sweet teeth will almost sink into hot cross buns. Over the years, I am sure you have tried different buns. So do I, but this bun pack really made me singing after tasting. 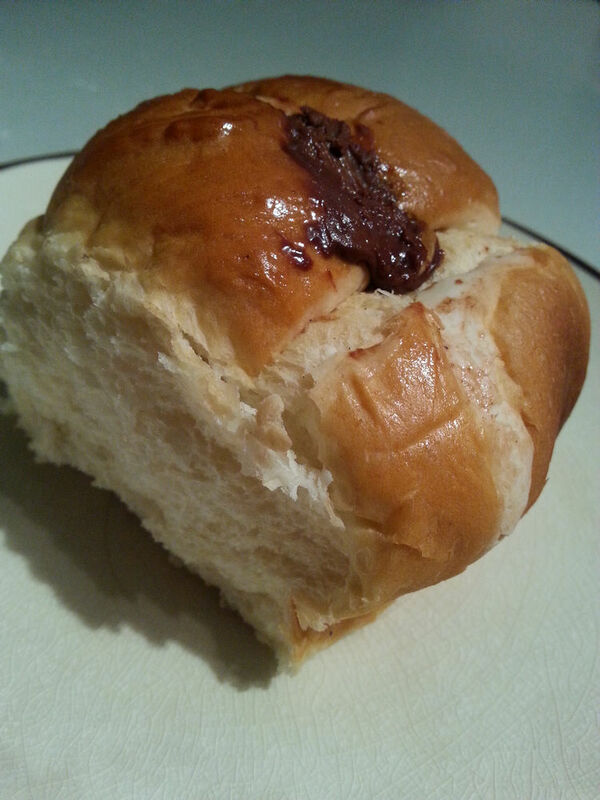 The bun was filled with a large amount of filling of Nutella, one of my favorite Italian chocolate spreads. The bun is different to what I normally see as a ‘traditional hot cross bun’, ie a spiced bun. The bun was extremely soft and can retain a good shape after each bites. Having said that, the flavour was awesome as the traditional spices have been removed while strong chocolate flavour was introduced. I’ve never been a sweet tooth, but this product really got my vote! 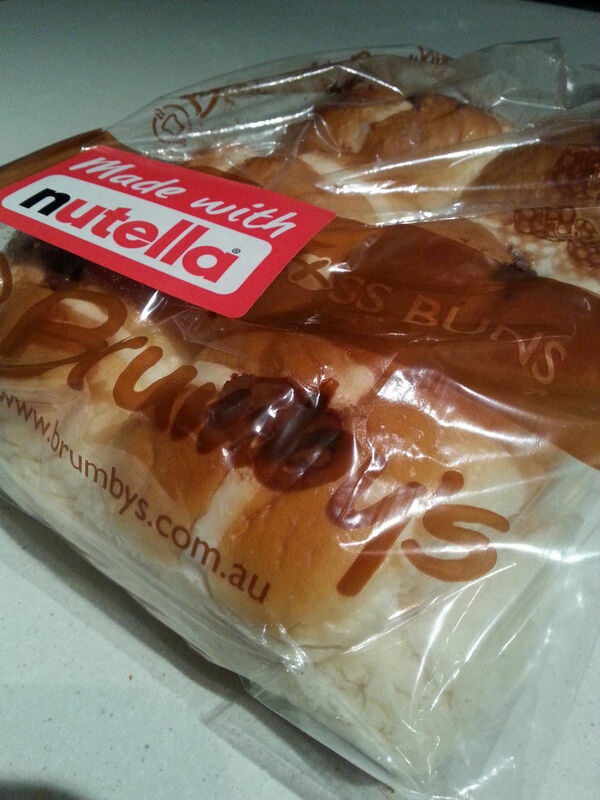 We finished all 6 buns in one go and I am still craving for more :D.
Brumby’s Bakery is also baking the traditional variety and fruitless flavour this year along with the nutella ones. They are selling at AUD$1.30 each or $6.60 for six. The finding of this product was actually by chance. After browsing collections of clothes in DJ, Tina and I went up to the food section and this fancy looking chocolate box came into our sights. 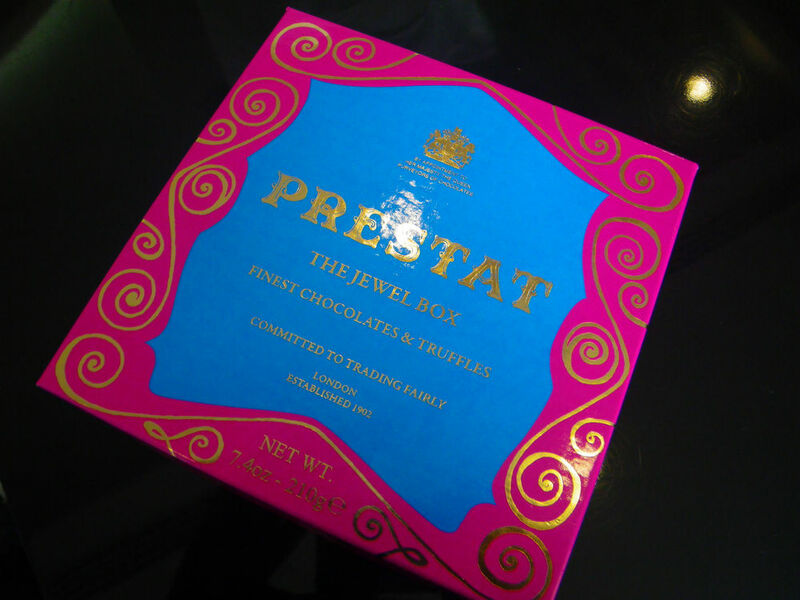 The box was filled with 16 small truffles and the box was designed by a British artist. 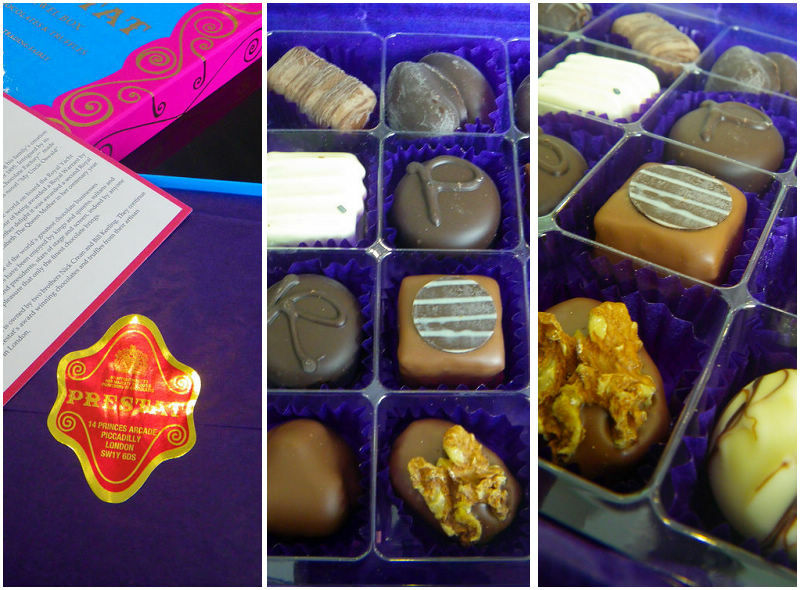 The chocolates were claimed to be hand made from the highest quality chocolates. The price tag was about $44 for 210 g.
After tasting it, both of us went OMG! They were really nice! Indeed, it can claim itself to be a real jewel box. Ranging from dark chocolates to milk chocolates with fillings from liquor and nuts to edible golds, the producer has really put a lot of efforts and time in making these little creatures. As one of the most successful chocolate businesses in the UK and worldwide, the company must be doing something right. It’s not just our normal chocolate truffle, but also gave us an immediate melt-in-your-mouth experience, which made us wanting to keep eating these delicacies! Highly recommended. I know it’s “supermarket free” month at the moment : P and I don’t normally write anything about supermarket line here on this blog. However, this one really caught my attention. It was purchased mid March. The only reason I bought it was because of the cylinder shape! 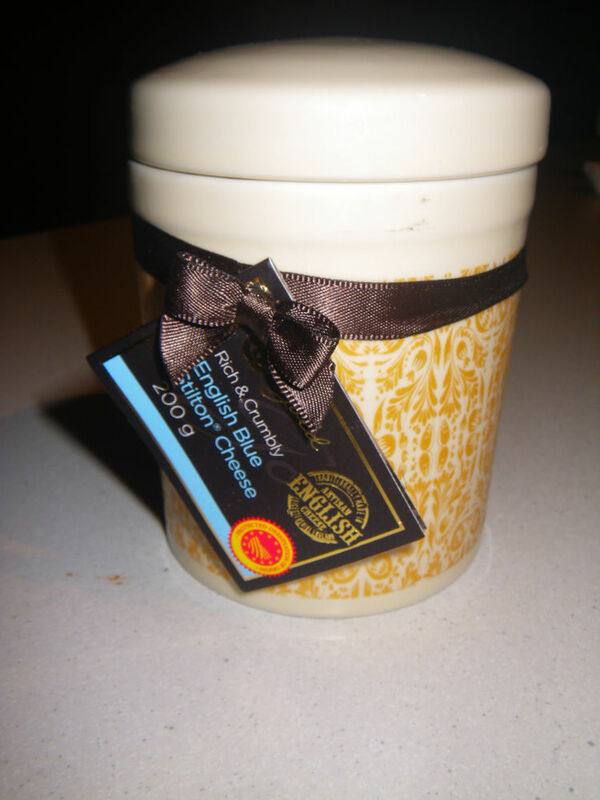 Initially, I was even thinking woollies finally got my attention with their marketing method, but it turned out that stilton cheeses are specified to be stored in one of these cylinders. 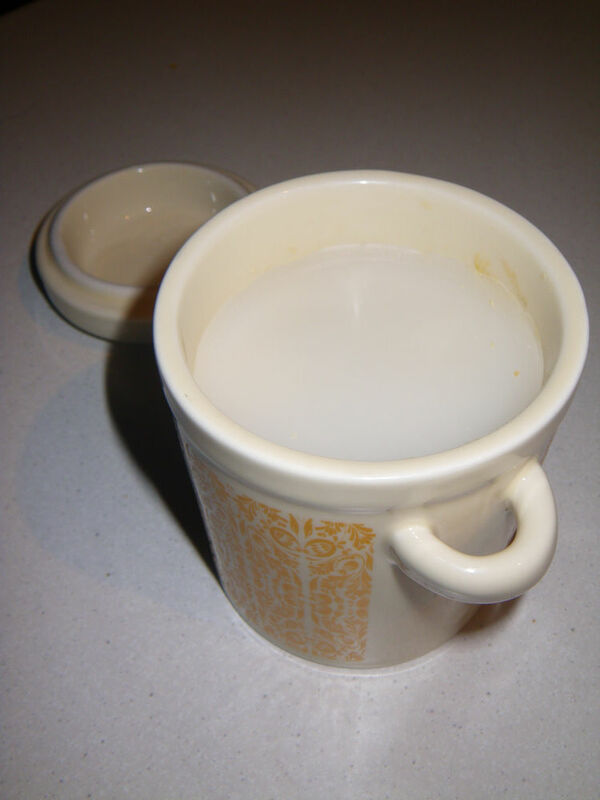 The product was claimed to be protected for its originality by the EU. Stilton cheese is a specialty blue cheese produced in Derbyshire, Leicestershire and Nottinghamshire in the UK. the cheese was stored sealed with a thick layer of waxing, which prevents the blue rind from developing. After opening the whole lot, a white creamy cheese appeared in front of me and I patiently waited for almost 30 minutes. 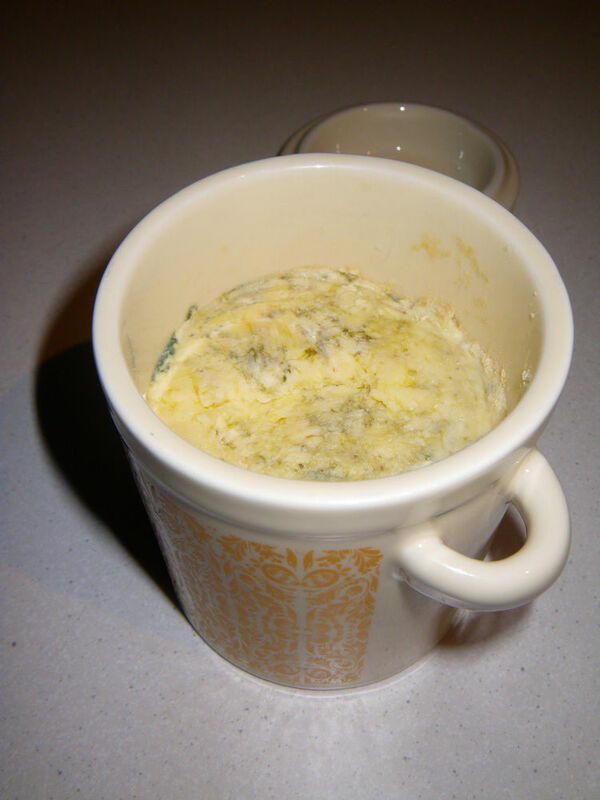 Magically, after nearly half an hour, the blue rind started to appear gradually from the center of the cheese. The way to enjoy this cheese was to use a metal spoon provided and take a layer of the cheese out for consumption. The new layer appeared after scooping was still creamy white and underwent the cycle again within 10 minutes. In terms of taste, the stilton cheese is better than some of the blue cheeses around. The flavour was pretty decent and strong while the smell on the nose did not show any mould smell or the “standard” blue cheese smell. The texture was even better as it provided a clean crumble texture which gave extra bits of fluffiness on the palate. It went down well with a glass of Aussie Cab Sauv. Traditionally, Stilton cheese is to be consumed over Christmas, but if you want to share with friends and family at Easter, why not?! I came across this tea seller back in December while I was away but received the first monthly box last month. Regardless of the teas, the service itself is beneficial for consumers. 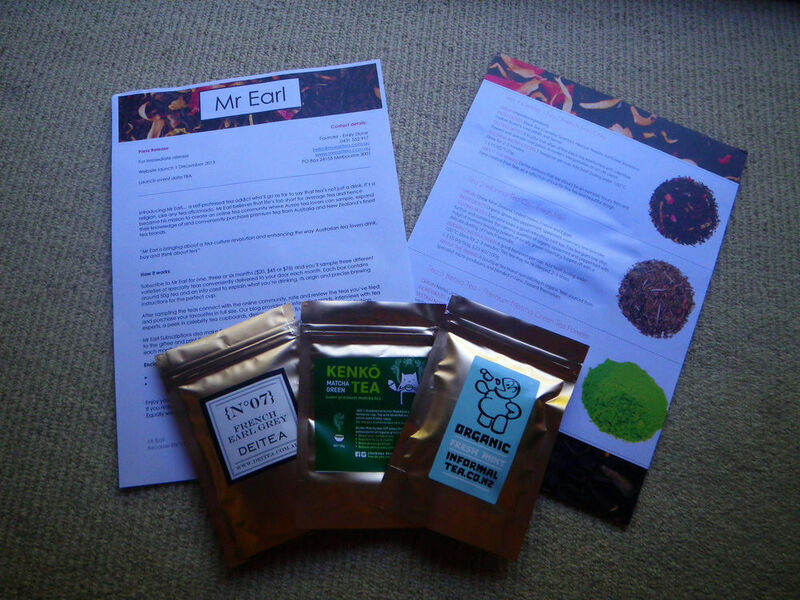 Basically, every month they are going to send through smaller bags of fresh teas and consumers can choose to purchase a specific variety according to their preference. 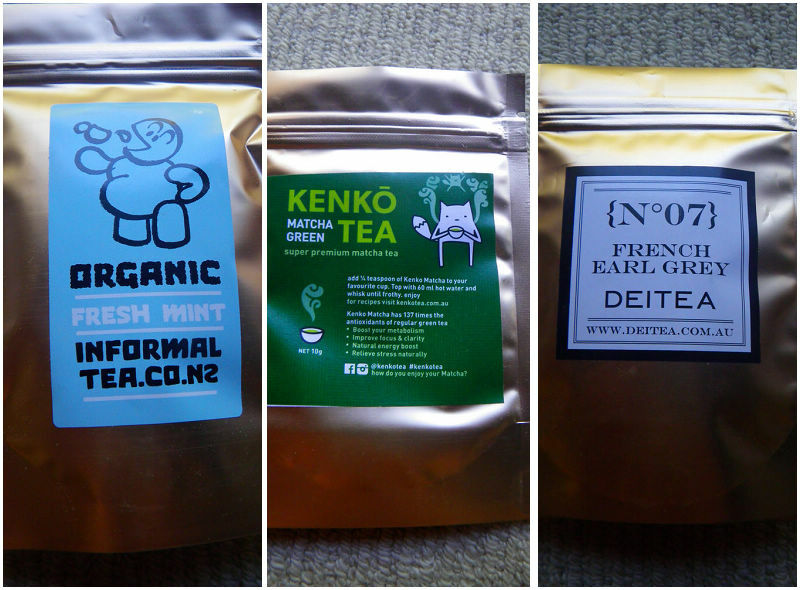 In this way, every month we can try different varieties of tea and can be a real tea drinker for life :D.
The three tea samples I received were the Organic Fresh Mint, French Earl Grey and Matcha green tea. The flavours of each of the teas were exquisite. 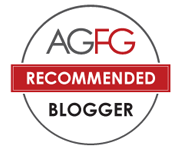 They were sourced from different producers from a range of countries and we, as consumers, can probably be around the world in our own home on our palate. What a fun thing to do at Easter when the whole family gets together to indulge some world tea sensations! An early happy Easter for all my readers and thanks for all the supports over the last several years! The next coming up will be about my recent dining experience with a newly opened Argentinian restaurant in Adelaide, La Boca Bar and Grill. Stay tuned! G’day Happy pre Easter to Tina and you! it is always nice to be introduced to foods that I was unfamiliar with! Thanks Xin! The hot cross buns look so delicious! Would love to try all of these. Thanks for the kind comment Jess! The wife loves Nutella. We will try them soon. Thanks for sharing.